﻿ book collection for a nursery. book collection for a nursery. Part of the baby preparation that Mike and I are doing right now involves amassing a great children’s books collection. 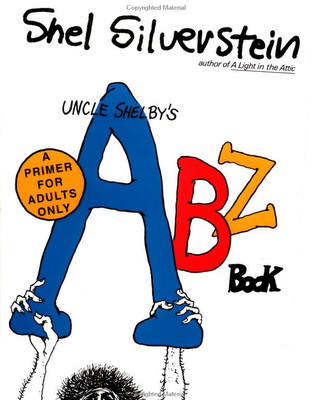 As an illustrator, Mike has collected a variety of samples of books with great illustrations. As for myself, I’ve collected a couple books that require a slightly mature sense of humor. Here are a couple of my books that I came across yesterday that I’d love to share with you. 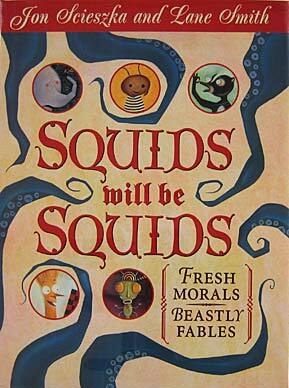 Squids Will Be Squids is a fantastic book that, as advertised, shares fresh morals and beastly fables. 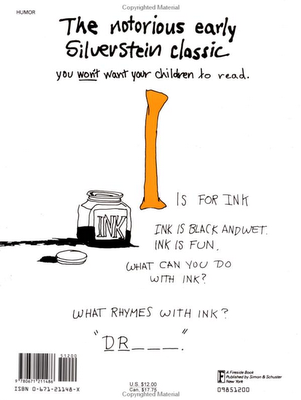 Think Aesop with a twist. And onto a much tamer note, Monkie is a book that my aunt sent in a care package for the baby this week. She lived in the Netherlands for a few years and found this gem there. It is a book written for the world. In other words, there are no words. The story of a boy losing his stuffed monkey is told only in pictures. And believe me—the pictures do a great job. I cried when I first “read” it. This book is great because it allows children to use their imaginations to tell the story. It’s a story that may change slightly with each telling. (and especially the comments that come with it) from soulemama’s blog a while back! Good for you for gathering such a wonderful collection! Don’t forget to add “The Giving Tree” to the list.